In 1699 James Bowles purchased 2,000 acres of land on the Patuxent River. The son of a wealthy London merchant, James Bowles prospered through trade with England, West Africa, and the Caribbean, dealing in tobacco, lumber, livestock, and slaves. Appointed to the upper houses of Colonial government and Collector of the Upper Potomac, Bowles also earned stipends and helped to regulate and control trade in the region. By 1703, James Bowles had built the first two room plantation house on his property using post-in-ground construction later adding a third room by 1720. Also that September the ship, Generous Jenny, arrived with a cargo of slaves from the Gold Coast of Africa to be consigned to James Bowles. Upon Bowles’ death in 1727, his widow, Rebecca Tasker Addison Bowles, and his three daughters inherited the property that included 41 slaves. In 1729 Rebecca Bowles married George Plater II and thus began four generations of Plater ownership. George Plater III did decide to join the Patriot cause shortly before the Declaration of Independence was signed and was a member of the 2nd Continental Congress from 1778-1780. He helped to draft the first Maryland Constitution and became the sixth governor of the State of Maryland only serving the last three months of his life. Thomas Barber acquired the property soon after, and upon Barber’s death in 1826, Sotterley was willed to his daughters, Lydia Barber and her step-sister, Emeline Dallam. The property, including the enslaved population; was divided between the two women. Emeline, who had inherited the parcel of land with the plantation house, married Dr. Walter Hanson Stone Briscoe and during their sixty year marriage that spanned through the Civil War, Emancipation and Reconstruction, made their living with a medical practice, running a girl’s boarding school, and farming a 400 acre mixed crop with over 50 slaves. As Confederate sympathizers, three of the Briscoe’s sons, Chapman, Henry, and David, went to Richmond and joined the Army of Northern Virginia. George W. Barnes (Briscoe), an enslaved Sotterley farmer, joined the U.S.C.T. 7th Regiment in 1863, opposing the son of his owner at the Battle of Petersburg. 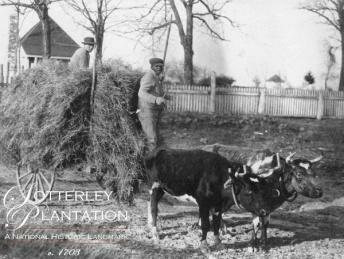 Sotterley’s owners supported their wealth and property through enslaved labor for 165 years. There were many examples of flight and resistance. Maryland emancipated slaves on November 1, 1864 through the state constitution. With the collapse of the slave system of labor and lack of industrialization, Sotterley with the rest of St. Mary’s County fell on hard economic times. The last Briscoe family owner, Elizabeth Briscoe Cashner, sold Sotterley to Herbert L. Satterlee and his wife, Louisa Pierpont Morgan Satterlee of New York in 1910. As part of what is now referred to as the Colonial Revival, Mr. Satterlee restored the property to his vision of an 18th century plantation, saving the plantation house and several old outbuildings, including an original 1830’s slave cabin that still survives today. His vision and his wealth, along with the belief that he too was a descendent from Suffolk, helped him save Sotterley from ruin. In residence only part of the year, Mr. Satterlee hired young Charles Knott as his farm manager. Mr. Knott managed the 1,000 acre property for the next 50 years. Other people lived and labored at Sotterley during the first half of the 20th century to include the Barber and Scriber families. Upon Mr. Satterlee’s death in 1947, his daughter, Mabel Satterlee Ingalls, bought the estate. In 1961, Mrs. Ingalls opened Sotterley to the public as a non-profit historic foundation, offering tours on a limited basis. She continued as owner and was involved in its management, visiting about four weeks per year until her death in 1993 at the age of 92. Sotterley’s management was then turned over entirely to the foundation. 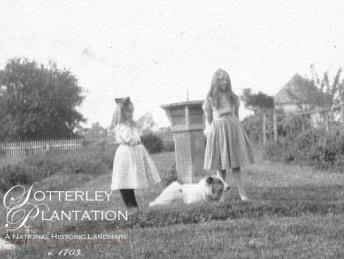 Today, Sotterley is the only tidewater plantation in Maryland open to the public that is a testament to all those that lived, died, labored, and resisted here. 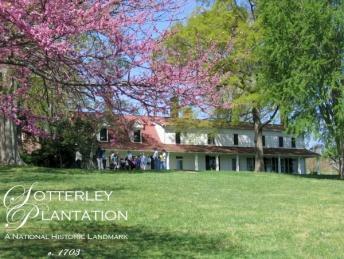 Designated a National Historic Landmark in 2000, Sotterley is older than Mount Vernon with a history that spans three centuries. 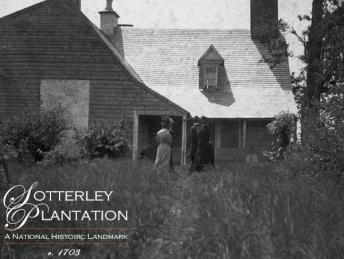 A non-profit public charity, Sotterley is governed by a Board of Trustees that has included descendants of former owners and former enslaved, and is supported by fees, grants, memberships, sponsors, and events. 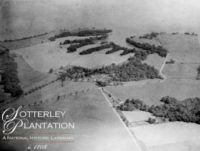 The mission of Historic Sotterley, Inc. is to preserve our historic structures and natural environment and use the powerful stories of our land, lives and labor to bring American history to life while serving as a cultural resource. As part of the Southern Maryland community, Sotterley offers a variety of cultural and educational tours, events, exhibits, and programs for all ages on its beautiful 95 acre site on the shore of the Patuxent River.